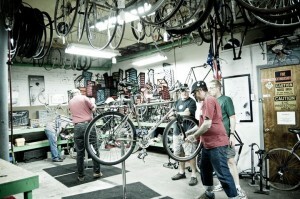 We need your help to reorganize, build out, and clean the VéloCity warehouse space for Spring. Everybody is welcome, and no experience is needed. There are plenty of jobs to do, both big and small. This will be a fun event, and is a great way to help out your favorite community bicycle workshop.